This was written byVinny Lingham , the CEO and co-founder of Gyft.com and originally posted athttps://medium.com/p/ba5f3fcce103. Bitcoin is currently trying to finding an equilibrium point — at least at the current volume levels — given all the recent disruptions to the ecosystem (including the recent MtGox collapse). Equilibrium would be defined for me as the point of stability in price where there is symetric volume and consistent growth on a daily basis between buyers and sellers (utopian, but right now there is asymmetric growth which is not being quantified — so traders are having a problem predicting where it would go). History shows that it needs to find a very stable price point for a few months before it can really retest any previous highs. External factors like Russia, Ukraine, China, etc will contribute to Bitcoin volatility and changes in the supply/demand curve globally. I spent some time at the CoinSummit conference in San Francisco last week and my panel discussion, “Bitcoin transactions — what are the barriers for merchant and consumer adoption?” was well received by the community. It’s very clear that Bitcoin has amazing potential but the fact remains that we are still in the very early stages of its evolution — which many have likened to the Internet in 1993. Mainstream consumer adoption is just not there yet. We’re waiting for the “Netscape moment” for Bitcoin. I also don’t believe Bitcoin is suitable as currency — I think it’s a commodity that can be traded for goods and services. It may become a currency in time, but it just isn’t one right now. It’s a scarce, digital commodity — and the trading that takes place on exchanges really reflects the market sentiment around the value of this digital commodity. In the not too distant future, entrepreneurs and technologists will use the actual Bitcoins themselves in new and interesting ways (think smart contracts, etc.) —how many will be ultimately needed is unknown, and that’s what creates the imbalance in price. Right now it’s all speculation as to what that future value of a Bitcoin will equate to. This is what makes the Blockchain far more interesting than the actual Bitcoin — but I’ll leave that for a future post. I have some alternative views (i.e. not stuff the mainstream press totally gets), as to why Bitcoin is trading below $500 right now, but I want to point out that I am a Bitcoin bull for the long term. I even predicted at the Silicon Valley Bitcoin Conference in May 2013, it would reach over $1,000 in 2013 when it was trading at $100 to audible snickers and laughs from a very Bitcoin friendly audience. That said, conversely, here are the key reasons why I think the Bitcoin price may not organically reach $1,000 again this year, without an external event shifting the supply/demand curve for Bitcoin. It is difficult to predict anything further out than a single quarter in the Bitcoin world, so instead of making bold predictions I would rather focus on highlighting some issues that are suppressing the Bitcoin right now. TechCrunch published a story yesterday about the recent IRS rulings around Bitcoin — which classifies it as an asset, not a currency (which effectively makes transactions using it taxable). To be frank, anyone who thought that Bitcoin would not be subject to taxes in some form is living in a dream world. Anyone who made 5000%+ returns over the past year or so should not be complaining about paying capital gains tax — it could have been worse and been classified as income tax. That said, it will have an impact on the price of Bitcoin as some people holding them will need to sell some of their coins ahead of tax filing next month. The real impact is that the notion that Bitcoin is a “deflationary” currency vs the USD has effectively been dispelled. Any deflationary gains have to be offset via capital gains taxes. This does not mean that it is not deflationary vs other currencies, but given the IRS has given strong guidance here — it’s effectively mooted in the USA. It will remain a store of value, but it clearly is not a currency in its current form. The upside of the IRS guidance is that given it’s not classified as a currency, you can buy and hold Bitcoin for years and never pay taxes until you realize the gain. Contrast that against the treatment of foreign currency holdings (and subsequent appreciation against the USD) and you’ll see it’s a fair outcome. The IRS guidance when coupled with unconfirmed rumours that China is “banning” Bitcoin has led the mainstream press to postulate that these are the reasons for the current weakness in the price. This is a key issue that is creating sell side pressure for Bitcoin. The number of new merchants now accepting Bitcoin globally has grown in the region of 5-10 times in the past six months, especially since Bitcoin popped late last year and became an increasingly valuable (albeit volatile) asset to own. The number of consumers (and realistically, mainstream consumers) using Bitcoin has grown fractionally in the same period — partially due to the perceived price and some other issues which I’ll dive into below. One reason is that the promise of micropayments for Bitcoin has not been realized, which is what is holding back mainstream adoption. What’s now happening when new merchants start accepting Bitcoin is that it’s giving people who have existing coins the ability to use it as a currency and effectively “sell” their coins to the merchant. The processors such as BitPay (which Gyft uses to sell gift cards) then in turn either sells these coins to private buyers (off book) or via exchanges (such as Bitstamp) to exchange for local currency for the merchants. This money is understandably used to continue to replenish inventory and operate their business, and more importantly, pay taxes to Uncle Sam. Although many Bitcoiners are hoping for more large retailers like TigerDirect and Overstock to adopt Bitcoin, it may have a negative impact on the BTC price as these retailers will most likely convert 90% of their coins to cash , putting additional selling pressure on Bitcoin. This outcome may not be as desirable in the short term, but it will create a better long-term outlook for Bitcoin given the liquidity options. Again, if you asymmetrically add large retailers without driving consumer adoption at the same time, the demand supply curve will shift undesirably. As the number of transactions via Bitcoin processors increase, it ultimately creates more sellers in the marketplace — which obviously creates downward pressure on the trading price. Now, I’m not saying that this is a bad thing in the long term, but the problem is that if you have asymmetric growth in new Bitcoin users and Bitcoin “acceptors”, it will create a lopsided marketplace which will suppress the price — which is exactly what is currently happening. We’re seeing the impact of this in the market right now, I believe. There is another factor, which brings me to my next point. Consumers are spooked right now. MtGox ran away with $500m+ in Bitcoins and is bankrupt. No one really trusts any of the exchanges — even some smaller exchanges went under the past 3 months. The only “safe” place to buy Bitcoin in the USA is via Coinbase and they are not an exchange. The US does not have a single licensed Bitcoin exchange and the rest of the world is reeling from MtGox. Bitstamp is proving to be the new global exchange of choice but the media has done a great job of keeping new potential Bitcoin users at bay with the usual inflammatory headlines whenever something negative happens in the Bitcoin space. Most people I know who want to buy and sell Bitcoin are doing it “off-book” — which means the transactions are going instead via trusted networks. This will take buyers out of the marketplace and will ultimately mask the true supply/demand curve for Bitcoin. Anyone who doesn’t know a buyer will sell their coins via an exchange or via a merchant accepting Bitcoin which will put sell side pressure on the BTC price. So instead of “buy side” money winding up in the exchanges which would be used to drive up the price, it’s sitting on the sidelines which has the impact of lowering the demand side of the equation within the marketplaces where Bitcoin is priced. Given the above, the Bitcoin price has been struggling and this creates downward momentum. The good news is that it keeps out the “get rich quick” types (for now) who typically almost justify the reasoning of some of the non-believers who think that Bitcoin is a Ponzi scheme. In reality, anyone who buys Bitcoin with the view that it can only go up and up forever is most likely a speculative and uninformed buyer who will sell at the first sign of blood. Although every new technology will have these buyers, the recent dip in prices is likely to keep these types away and as a result, less speculative buying which will allow Bitcoin time to find equilibrium, before it runs again (historically Bitcoin goes through spikes and consolidation phases regularly). Again, a lack of buyers will leave Bitcoin with a lower settling price and equilibrium point in the broader market. If you were a miner 2-5 years ago, you could comfortably mine Bitcoins and make profit margins of 50-95%. Input costs would have been electricity and additional hardware. The difficulty of mining was low and it was not very competitive, so labor costs were cheap (hobbyists mainly) and you didn’t have to invest in chip R&D.. Since then, we’ve seen a surge in competition amongst miners and an astronomical increase in the difficulty index (far outpacing the price growth in the actual Bitcoin). Miners were mining 50 coins every 10 minutes just over a year ago. With the geometric progression in the distribution of coins that happens every 4 years, the allocation is now 25 coins every 10 minutes. Less coins, albeit at a higher price. Even six months ago, miners were probably holding onto at least 50% of the coins they made and spending the other 50% on costs (electricity, salaries, hosting, hardware). That number is now probably closer to 80% and dropping (lower margins at lower BTC prices and lower efficiency of mining equipment given the difficulty index). What does that mean? If miners need to cover their costs, they need to sell the BTC at market prices to pay the bills. If now they are only keeping 10% or less, then it’s another 22.5 coins on average hitting the exchanges every 10 minutes vs 12.5 coins in a 50% margin scenario (in actuality, the pools pay out on different timescales, but this is an approximation and oversimplification in order to make the point). If someone wanted to track the flow of coins via the pools and see how many of them wound up on the exchanges or spent at retail, I think the results would be fascinating (let me know if you or someone you know has or wants to do this). Given the reasons above, I think that Bitcoin will be range-bound in the $350-$550 range for at least the next quarter, that is, unless an external catalytic event occurs. I do think we’ll see a point of equilibrium and stability where the price stabilizes for a couple of months — when you see that, it should be a sign that a future surge is in the cards (based on historical evidence). 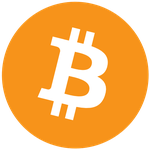 Disclosure: I own Bitcoins personally and within my company, Gyft, which accepts Bitcoin as a payment method. I have bought some Bitcoin today at the current price and will buy & sell them in the foreseeable future. I have every intention to keep trading Bitcoin. The information above is not to be misconstrued as investment advice. Bitcoin is a highly speculative commodity that is best traded by people who have a passion for and understanding of disruptive technologies. Please consult your financial advisor before taking any advice from someone who clearly has nothing better to do than write about Bitcoin on a Sunday evening.